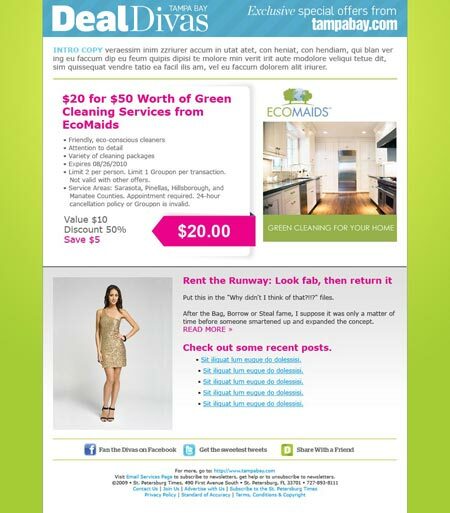 Here is the email template design for the re-branding. I was going for a bright, clean design. It is built to accommodate either a medium rectangle or leaderboard to allow for paid sponsorship opportunities. Here is the landing page for the re-branding project I am working on. Its main feature is a signup form and is designed minimally to encourage users to participate. Here are three versions of an email signup widget I designed for a re-branding I am working on. I designed three color schemes to keep it interesting. All three utilize colors that are featured in the new brand. 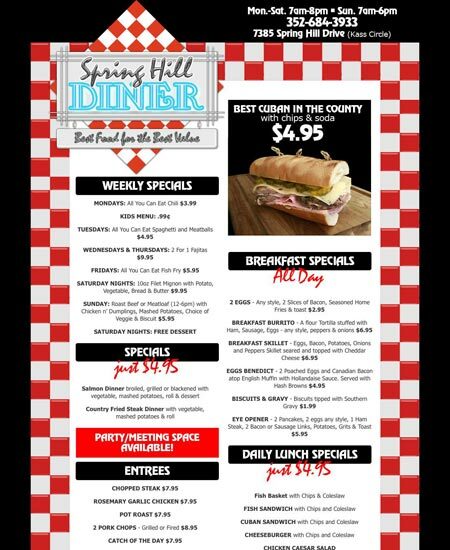 Here is a recent menu page design for a local diner. You are currently browsing the designspot blog archives for April, 2010.